Are you still listening to the mainstream media that tells you the economic crisis is over and the U.S. economy is now in recovery? We were told the statists in Washington wanted to raise taxes on the rich… and Congress obliged with their so-called “fiscal cliff” deal. However, it’s not just the rich that are feeling the pain of this deal. You are likely already feeling the effect of Congress’s “fiscal cliff” deal. 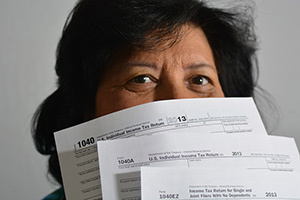 With taxes being raised on 77% of Americans, virtually every paycheck earner in the country will be obligated to fork over more income to the federal government. Even more outrageous is that the midnight compromise did nothing to address the unsustainable trajectory of reckless spending. The news will continue to be bad and will get worse. The U.S. and economies around the world will continue to rack up debt. Unemployment could reach 30% to 50% before this depression ends. Thousands of banks will fail. There will be widespread social unrest. The dollar continues to lose value. Every day we see the value of the U.S. dollar being inflated away as paper money is becoming more worthless each day. Meanwhile, gold and silver are on the rise. Protect YOUR assets from being inflated away with SILVER. 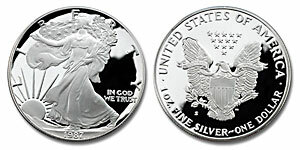 Silver is a great investment as a hedge against inflation. Oh sure, we’ve seen some pretty dramatic swings in the price of silver in recent years and I suppose the speculators love that. But, I’m not suggesting you become a speculator. Instead you should be protecting your wealth over the long term. For some strange reason, the masses only get interested in buying precious metals when their price is going up. Smart buyers accumulate silver when the price is low and they are the ones who benefit when the price rises. Take a look at the chart below and it’s clear for any silver you bought more than a couple of years ago… you’re investment has increased in value. Get something of real value – Silver Coins – while you still can. Stop throwing your money away on paper scams and promises and invest in real money… Silver Coins. Did you know silver is drastically undervalued? Traditionally it trades at 15 times less than the price of gold. Just a few short months ago it was trading at 70 times less. Today, silver is trading at 56 times less than gold and it’s forecast to go up by 25% to 30% in the coming months. The Chinese are buying it like crazy! You need to act and act soon. The financial crisis of the past few years should be a wake-up call and a period of preparation for the coming collapse. Those who are awake can see the handwriting on the wall and are getting prepared. Economies around the world are collapsing and as we learned in the 2007/2008 crisis, the U.S. economy is closely tied to global economies. What is happening in other countries is coming to the U.S.
Time is running out… and it will run out. Now is the time to prepare yourself for the collapse of the U.S. Dollar, hyperinflation, depression, and the collapse of our economy. At all times and in all circumstances gold and silver remains money – not paper gold and silver, but physical gold and silver. It is about all there is to protect your wealth from inflation and provide yourself with a viable currency to survive the destruction of our economy. If you haven’t started to prepare already… there is no better time than right now. If you have begun preparing, you might want to accelerate your accumulation of gold and silver before it’s too late. Even if I’m wrong and our economy defies the historical trends, physical gold and silver will continue to be a valuable asset that will provide you the peace of mind of holding real money in your hands.